After their last magical food adventure, Steven decided that Andrew was his OTP (one true palette <3) and invited him out again. 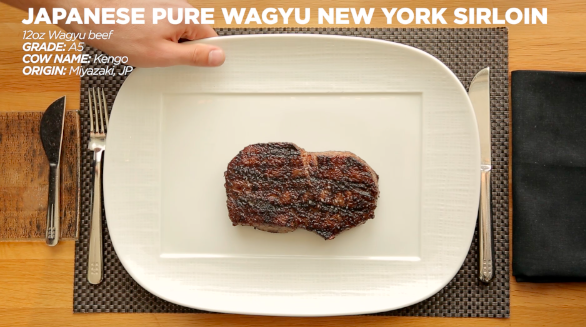 The guys would be tasting three different steaks at three different price-points: $11, $72, and $306. 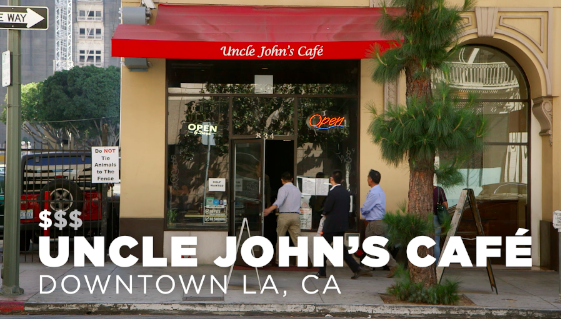 First up, the cheapest option was Uncle John's café in downtown Los Angeles. 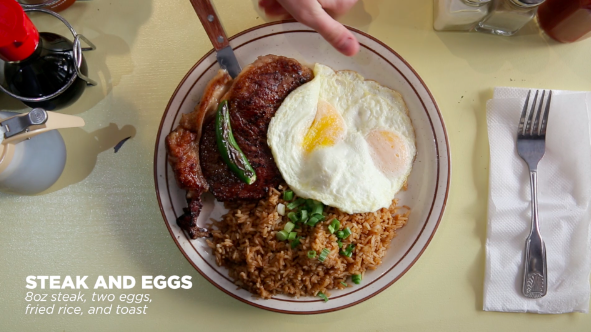 Uncle John's offered a steak, eggs, fried rice, and pancake plate for only $11. WHAT A STEAL, PEOPLE. ...which obviously made Steven miss his mom very much, so naturally he had to give her a quick call to say hi. 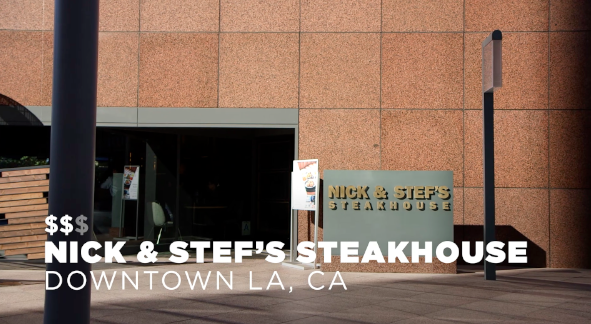 Next up, the guys headed to Nick and Stef's steakhouse to try a steak priced at $72. And after one bite of the meaty goodness, the guys were in love again. Seriously...Steven even compared eating the steak to falling in love with his long-term girlfriend. 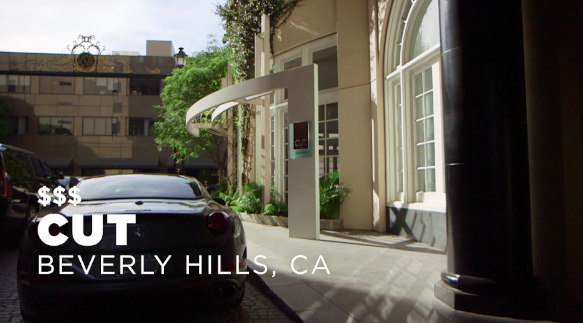 Finally, the duo headed to their last and final stop: The Cut in Beverly Hills. 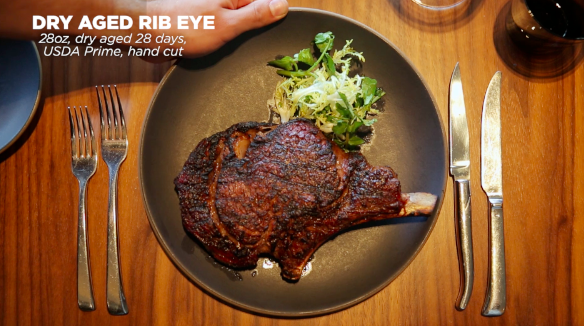 Here, they would eat a $306 steak fit for the ~stars~. And damn, did the chef know how to cook a piece of meat. After the first savory bite, both of the guys really started to have a religious experience. But after a lot of meat and a lil' bit of wine, who was the winner? For Steven, The Cut took the cake, or uh, steak. And for Andrew, Nick and Stef's was his new favorite spot.